According to a report by Tutu Android (via CNET) ), Netflix is testing a new, higher tier of service called ‘Ultra’ in select regions, that would allow four devices to simultaneously receive Ultra HD video and audio streaming. “We continuously test new things at Netflix and these tests typically vary in length of time,” Smita Saran, a Netflix spokeswoman, confirmed in an email. Currently, Netflix offers three subscription plans i.e. Basic for streaming on one screen at a time, Standard for viewing on two screens, and Premium for streaming on four TVs, laptops, tablets or smartphones simultaneously. However, the upcoming Ultra plan may affect some aspects of the current Premium plan. Looking at the above promotional screen from Netflix Italy (via PhoneArena), it seems the Ultra plan would halve the number of screens Premium users can use simultaneously from four to two. Also, the standard plan may also be downgraded to just one screen at a time. 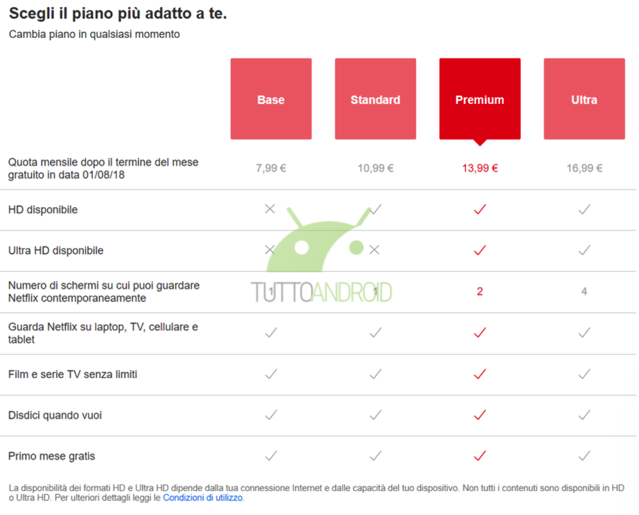 The Ultra plan would be priced at €16.99 in Italy (US $19.80). No word yet as to when the Netflix Ultra plan will be introduced in the US or Canada. 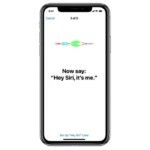 Do You Find Siri Taking Up Entire Display on iOS Intrusive?